ZapRoot, which bills itself as "an unconventional bite-sized news show that covers the fast changing world of the modern Green Revolution." I'm still picking through the Pickens Plan and Al Gore's latest call to action and will have a post to share my thoughts before the weekend (I hope; it's been a busy few weeks). Mark Burget, Chief Conservation Programs Officer of the Nature Conservancy announced his departure last Friday. It came as a surprise to me, as it may have to others, because, frankly, Mark is one of those people who personifies the Conservancy. The core values of TNC are integrity beyond reproach, respect for people, community, and culture, and commitment to tangible, lasting results; all of these can be used to describe Mark. Oh, and one other: "One Conservancy," which was John Sawhill's way of saying a collaborative spirit that works for the whole of the organization, not just its parts. In fact, Mark always kept the whole of conservation in mind when he set strategy, whether as program director for the Upper Colorado River Basin, state director in Colorado and California, or in his more global responsibilities over the past few years. And I gather it is this consideration of the whole that is once again in his mind as he decided to leave TNC. He is heading to ClimateWorks, a San Francisco-based non-profit that is focused, as Mark put it in his letter to colleagues, "on the most pressing environmental issue of our time: the need to dramatically reduce the greenhouse gas emissions that threaten to disrupt and destroy the miracle of life and the human experience on Earth." TNC will miss Mark's leadership, vision, and sheer brilliance -- he is one of the most thoughtful and strategic thinkers in the field of conservation. But Mark would not have made this decision without a whole lotta soul-searching. I applaud Mark's decision and will look forward to his success at ClimateWorks. 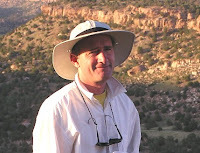 Mark Burget joined the Conservancy in 1992 as the Program Director for the Upper Colorado River Basin. He earned both his J.D. and M.B.A. from the University of Virginia and his BA in Government from Dartmouth College. Since joining the Conservancy, Mark has held several leadership positions including Director of the Colorado Program, Director of the Global Priorities Group, and most recently Director of the California Program. Mark assumed his current position as Chief Conservation Program Officer in 2007 and leads the Conservancy’s eight conservation regions worldwide. I remember the day when I was no longer at the top of the food chain. I was flying into Lower Talarik Creek in southwestern Alaska with nothing but a fly rod, a note book, a sleeping bag, and hubris. As we circled the lagoon, the float plane pilot pointed out 10 or 12 brown bears that had already secured the fishing hole. We landed anyway and the bears disappeared. The low brush was barely enough to hide them. They were gone, but they were out there. Until you've experienced the fear, adrenaline rush, and deep respect you feel in close proximity with a large predator, you haven't really lived. As a species we have a complex relationship with predators, whether large cats, bears, wolves, sharks, or killer whales. It's a mixture of deep-seated fear and loathing, along with time-honored respect and admiration. Some of it goes back so far in our DNA that it is no longer top-of-mind. Most of us don't have to worry about it, safely ensconced in our cities, towns, and bedroom communities. But Will Stolzenburg worries about it plenty. So do the biologists, activists, ranchers and others he writes about in Where the Wild Things Were: Life, Death, and Ecological Wreckage in a Land of Vanishing Predators, being published this month by Bloomsbury. Stolzenburg, a former colleague at the Nature Conservancy and a writer for Science News, Conservation, and Nature Conservancy magazine, admits he is biased in favor of big predators. But he also understands the complexity of the psychology around their interaction with Homo sapiens. "Over the thousands of millennia that our own lineage has spent in the company of killing beasts," Stolzenburg writes. "Competing with them for food and running from them as food -- the great meat-eaters have quite naturally etched themselves into the human persona." Stolzenburg has written a compelling book, a short history of our relationship with predator species, which uses scientists and their stories to tell the story of that relationship and of the importance of predators on land and sea. His story starts with an unlikely hero, the starfish (Pisaster ochraceous), which prevents mussels such as Myltilus californianus from crowding other species off rock habitats. Who amongst us would classify the sea star among the big charismatic megafauna? But they play an important role. As do sea otters, which keep sea urchin populations down and minimizes their destruction of kelp forests. And then there are the usual suspects: wolves, coyotes and big cats that maintain a check on populations of smaller mammals and other species to avoid cascading, sometimes catastrophic changes. 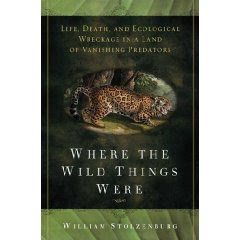 Stolzenburg reviews the arguments surrounding the importance of predators to their habitats as well as the various attempts to extirpate them and to bring them back from the brink. "The great predators are great barometers of our maturity as a species," he concludes. "If we can live with an animal that could just as soon eat us as an apple, if we can make room for an animal that traverses entire states looking for a mate, how better to define the art of compassion"
Equally fascinating are some of the depictions and explorations of the predators themselves, especially the chapters on killer whales and on "the loneliest predator," man. Fascinating, too, how recent some of the thinking is about species interaction and interdependency, until you realize that conservation biology as a field is relatively young. Will Stolzenburg knows how to tell a story and his narrative is a good read. Part history, part mystery, part philosophical treatise, Where the Wild Things Were is an important book in the field of conservation, but also as a history of our species and our relationship with the others with which we share the planet. 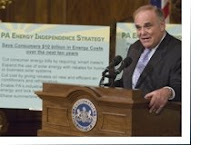 Energy: Drilling for Oil Offshore and in ANWR; Has the Time Come? Okay, brace yourself. If you're a dyed-in-the-wool environmentalist, you're not going to like what I'm about to write. I'm not sure you'll like it if you're on the other extreme either, but what the hell. Just a couple of months ago, I heard T. Boone Pickens, Jr. call for $150 oil by the end of the year, but now that we're approaching that mark by mid-year, it may be time to revise the target. Is $200 a possibility? Indeed, it may be too late to avoid it, says Jerome a Paris over at The Oil Drum. Jerome cites an International Energy Agency (IEA) study released last week that claims the "oil market will remain tight during the next five years as production from non-OPEC countries stalls and demand growth remains relatively strong." "This is one of the most important trends in current oil markets: the depletion of existing fields, and the decline in their production," Jerome adds. "It's long been discussed in specialised sites like this one but it's been ignored in the 'serious' media for too long. and yet, discussions of new fields coming into production cannot paint a correct picture of future production trends if these declines are not deducted to get net production increases. "And the stark truth is that in most of the world, the declines are bigger than the new capacity additions. This is particularly true in 'friendly' production zones like the North Sea, Mexico or even Russia, where overall decline rates are dizzying and actually impact global production numbers significantly." * OPEC mature field decline >10% p.a. * More spare capacity by 2009, but then dip again, recovery by 2013?